U.S. Pvt. 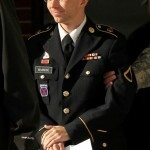 Bradley Manning, 25, has lost his challenge against the charge of “aiding the enemy” (Photo Credit: Brendan Smialowski/AFP/Getty Images). 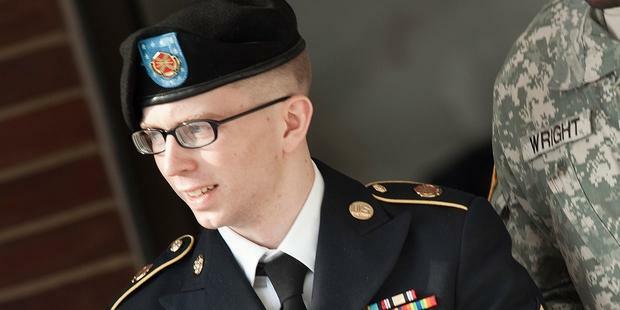 The decision by the U.S. military judge not to drop the charge accusing Private Bradley Manning of “aiding the enemy” is a travesty of justice. If he is found guilty of the charge, he faces a possible life sentence in military custody with no chance of parole. The prosecution’s own witnesses repeatedly told the court that they found no evidence that Manning was sympathetic towards al-Qaeda or other terrorist groups, that he had never expressed disloyalty to his country, that they had no evidence that he had ties to any government other than his own. It’s abundantly clear that the charge of “aiding the enemy” has no basis and the charge should be withdrawn. This case makes a mockery of the U.S. military court system. This entry was posted in Americas, Military, Police and Arms, Prisoners and People at Risk, Security and Human Rights, USA and tagged censorship and free speech, detention and imprisonment, fair trials, human rights defenders, Military Police and Arms, prisoners and people at risk, security with human rights, USA by Guest Writer. Bookmark the permalink. That's right….sentence a hero. Great job! It is a travesty. I fully agree! That's the reward he gets for serving his country. Wonderful! It makes me sick! This is an outrage. honestly, this man is better than every politician right now and still gets this treatment! Bradley needs to be free! It's an outrage that our government is doing something like this. Governments should protect their citizens! If the authorities think we actually believe this, they're so wrong. I want to know what the american people think about this situation. It's something that affects everyone so they must speak. That's absurd. None of the information he released helped an enemy in any way! bradley was not aiding the enemy, because he did not have evil intent. Earlier this year, you (Amnesty) published a lengthy report criticizing EU states for failing to legally recognize transgender people's identities. Yet here you are, consistently referring to Chelsea Manning by her birth name, using male pronouns, and in fact supporting the same violence you are elsewhere advocating against.